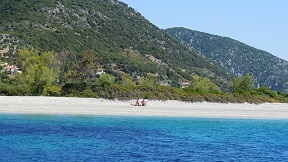 The beach of Agios Dimitrios on the island of Alonissos in Greece, information and pictures. 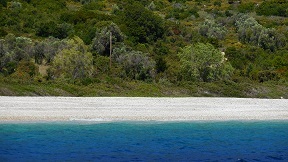 Agios Dimitrios beach in the northeast of Alonissos opposite the island of Peristera is a large triangular pebble beach which can be reached over a dirt track. 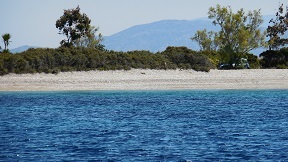 An attractive beach bar has been built, mainly out of driftwood it seems, but don't expect drinks to be served cold until July when visitor numbers make it worthwhile for the owner to fire up the generator. There are sunbeds for hire on the south side but watch out for sea urchins. 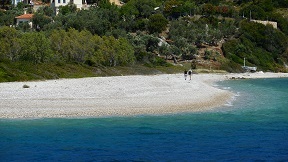 The north side of the beach is quieter but can suffer from some rubbish. Road access has been much improved recently and its quiet isolation is less assured. 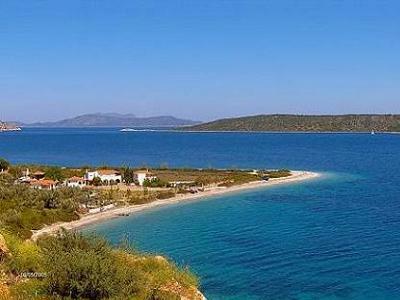 Agios Dimitrios is probably the most popular beach of the island and also one of the prettiest. 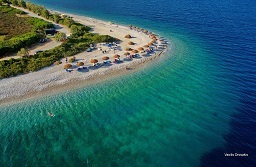 As a matterof fact it is concidered as one of the most picturesque beaches of the world. 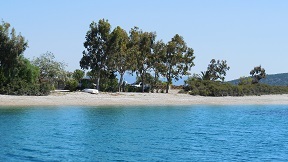 It is situated at a 14 kilometers distance of Patitiri. 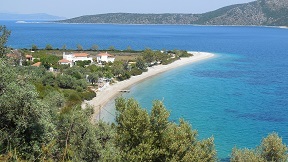 The beach is named after a monastery which has now been completely destroyed. Only its remains can be seen next to the main road. 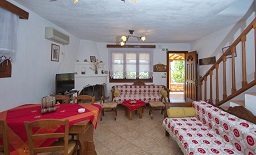 This property is 1 minute walk from the beach. 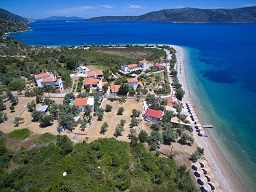 Located in the area of Agios Dimitrios, Pelagos Villas is a complex of traditional villas, offering unobstructed Aegean Sea views from their terraces and balconies. 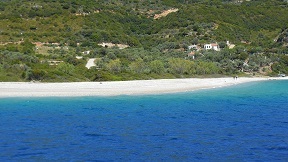 The sandy beach of Agios Dimitrios is within walking distance. 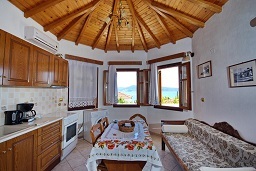 All air-conditioned villas at Pelagos feature dark wood furnishings, and come with a fully fitted kitchen including a dining area and a living room with TV. There is also a bathroom with a shower. 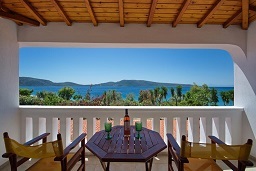 Each unit opens out to a spacious balcony with tables, chairs and sun beds. 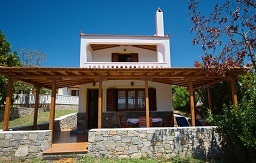 Some villas enjoy direct access to the garden, which also features BBQ facilities. 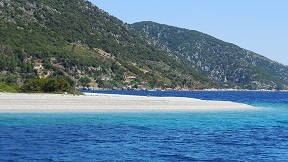 The village of Kalamaki is 1.5 km away and offers seaside taverns. 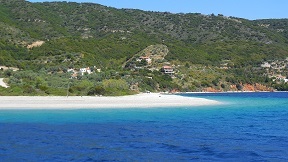 Patitiri, the main town and port of Alonissos, is 15 km away. Free on-site parking is provided. 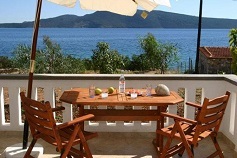 Check availabilities and prices & book Pelagos Villas in Agios Dimitrios Beach - click here.